A Christian archaeologist’s discovery of ancient bones in a cave in Samaria unravelled a 2,000-year-old murder mystery, and led to the local Jews performing a rare and powerful Torah commandment they believe will help bring the Third Temple. The moving story brought Jews and Christians together, emphasizing how the roots of both religions are inextricably intertwined in the Holy Land. 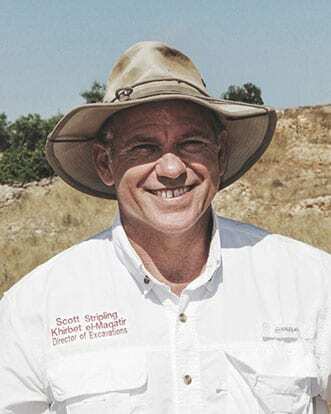 Dr. Scott Stripling, an archaeologist and provost of The Bible Seminary in Texas, was exploring a cave complex at Khirbet el-Maqatir near the city of Ofra in Samaria in 2013 when he discovered a jumble of bones. Dr. Stripling has been the co-director of the dig for 20 years on behalf the Associates for Biblical Research. Dr. Stripling explained that in a last-ditch attempt to avoid being slaughtered by the Romans, the people of the town repurposed the olive press cave, broke through to a cistern, and dug a hiding system. “We found the skeletons of six people in the olive press area, and fragments of bones from two people in the smaller hiding area,” Dr. Stripling said. “The last moments of their lives must have been terrifying. Anthropologist Marina Faerman of Hebrew University determined that the bones were from seven women aged 6-60, and one male youth. Elisabetta Boaretto at the Weizmann Institute conducted carbon dating tests to date the bones to the first century CE. This result was consistent with coins found at the site, identified by numismatist Dr. Yoav Farhi, and pottery deciphered by ceramic typologist Peretz Reuven. Dr. Stripling intended to rebury the bones at the site where they were found. Frequently, human remains found at archaeological sites are stored away in universities without ceremony. Yaakov Ehrlich, a surveyor who has volunteered with Dr. Stripling for many years, approached him and requested that after the scientific tests and studies were complete, he be permitted to give the bones a proper burial. Ehrlich’s request to bury the bones came from a powerful Torah imperative that transcends simply honoring the dead. Ehrlich was obligated to care for the bones found at the dig since they were from individuals who passed away and have no one else to take care of their burial. In Jewish law, this is referred to as meit miztvah, a Torah commandment so important that it supersedes most other commandments.concerning meit mitzvah, the bones should be buried where they are found. Ehrlich emphasized that it was likely the people were very observant Jews. The olive press was surrounded by ritual baths, indicating that the community produced olive oil for use in the Temple. He emphasized that the request did not disrupt the scientists and their study. In fact, their faith made them even more sympathetic, Ehrlich noted. “The Evangelicals involved in the study were absolute professionals in their fields, but it was very touching how they also understood the urgency of the mitzvah to bury the dead,” he told Breaking Israel News. 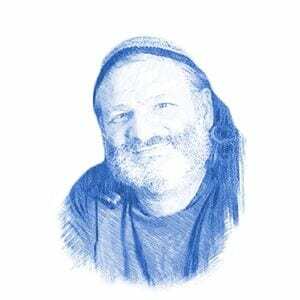 Professor Yoel Elitzur, a resident of Ofra and long-time friend of Dr. Stripling, joined in with Ehrlich’s request, and Dr. Stripling, unaware of the conflict in legalities in Judea and Samaria in these matters, complied. After the tests were complete, Dr. Stripling turned the bones over to Yehuda Etzion, head of the burial society of Ofra. A large ceremony to honor the dead was planned, but then Hananya Hizmi, the coordination officer for archaeology under the the Coordinator for Government Activities in the Territories, heard of the event and requested the bones be turned over. Etzion refused. After attempts at reconciliation between Hizmi and Etzion, the burial society secretly interred the bones in the Ofrah cemetery in a ceremony on February 6 this year. The communal grave was covered in concrete to deter the authorities from disinterring them and a monument was set in place. Results from the site have painted a powerful picture of how the Jews in the region struggled to remain in the land. Dr. Stripling was able to determine that the cave complex was used once again by Jews as a hiding place during the Bar Kochba Revolt sixty years later. “The second group clearly had no idea there were remains of their fellow Jews right under their feet,” Dr. Stripling said. The site clearly has strong significance for Jewish history, but Dr. Stripling is proposing a theory that makes it significant for Christianity as well. 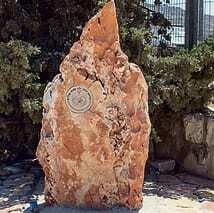 The city of Ephraim is also referred to in the Bible as Ai.